Now available from E-T-A ElectroTechnical Applications , 19BGT-X8345-S163 power distribution systems have been designed for use in factory automation and process control applications. 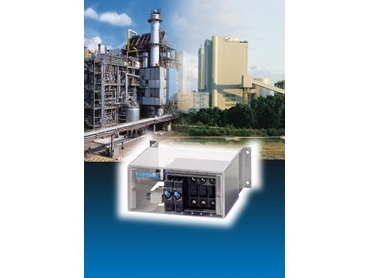 These power distribution systems offer modular and flexible performance, incorporating plug-in type circuit breakers, with a high degree of operational safety provided by a moulded cover that protects against brush contact. Protection of the individual channels is ensured with up to 18 E-T-A circuit breakers type 8345, with a maximum current rating of 125A per channel. Termination of these systems is carried out entirely via reliable screw terminals and ring cable lugs. In addition, integral auxiliary contacts for group signalisation can be connected from the side. 19BGT-X8345-S163 power distribution systems can be easily installed directly on the mounting plate of the control cabinet.